This week Sreesanth targeted the happy club and the four members were nominated. Although the diwali special surprise made some unity in the house but within one day the whole house back to their normal tune. In the dinning table area, Jasleen said KV, Srishty and Rohit should spit in a glass of lemon water and drink there spit, that way their bonding will be more labor. Srishty said Jazz, Sree, Dipika and Shiv aslo should do this, but Sree got offended by this joke and started arguing with Srishty. 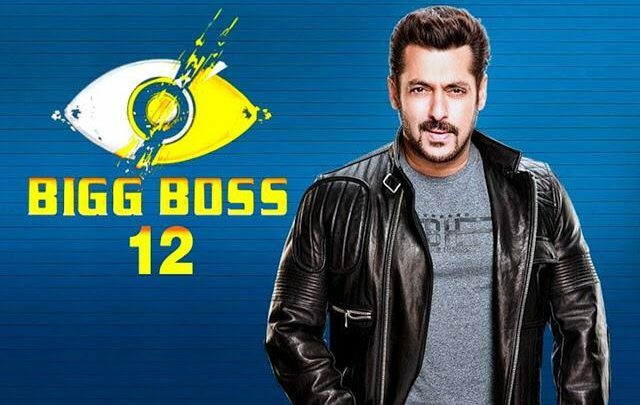 Bigg Boss gave a special task to the four nominated members. With valid reasons they had to tell one name which member should be nominated in their places and the save contestants will bath with dung, chilled ice water, flour and rotten tomatoes. Deepak took Jasleen’s name and said, she had no point in this house, she just played according to others. Somi chose Shiv, because she thought, he was not that strong for this house. Surbhi said Rohit’s name, since he was a wild card entry. And Romil chose Srishty’s name because of her less involvement in this game. Later, in the bathroom area Romil and Jasleen had a little argument, where Jasleen cleared her alligation that she didn’t play with others brain, but when Romil said she did, she said Romil also played according to Surbhi. Salman came in the house through Panasonic LED T.V. and greeted “Happy Diwali” and belated “Happy Birthday” to Sree. For the first time he complimented KV for his suit and teased Deepak and Somi a little bit. Then Salman came to the house matter. After this week’s nomination Surbhi and Deepak were very disappointed with Jasleen and Deepak commented some very personal things about Jasleen, and Surbhi supported him. Salman said in an angry voice, what he did was worst than any slang or bad word. Deepak and Surbhi were very ashamed and said sorry to Jasleen. In the last task Romil was wrong, he shouldn’t take Srishty’s name, but when Romil clarified his reasons, Salman agreed with one fact that she was only seen with Rohit. After Salman had gone Srishty was irritated by the taunts and soon her irritation turned into tears. Salman cleared this week’s captain KV only won, because the Sanchalak was Dipika. Dipika argued but the way Salman defended his statement everybody were supporting him, and she aslo realised her own mistakes. So, clearly by majority Dipika was chosen for this week’s torture room. The appy fizz caller of the week called for Rohit. Actually the viewers were very disappointed for his performance in this game. He pointed out his flaws and Rohit promised he would work on those. The very pretty Preity Zinta came and lightened up the Bigg Boss stage with her dimpled smile. She was there to promote her upcoming film “Bhaiya ji Superhit”. Salman played a game, where he or she will dance a hook step of any famous song and other had to tell the name. At last salman did a singing performance in “Aate jaate jo milta hain” specially for Preity. Then Preity left for Bigg Boss house. She entered the house and people got very excited.